Today's post is continuing with my theme of my favorite social media and websites. Yesterday I shared some of my fave YouTube channels....I hope you've had a chance to check some of them out!!! Today I'll be sharing some of my favorite blogs! IHeartOrganizing - One of the reasons I'm so enthralled with every post and project on this fabulous blog is probably because I'm such the opposite of an organized person! I tend to be naturally more cluttered and scattered and I have to work really, really, super hard at order and organization! So it's very inspiring to look at beautiful pictures of Jen's home, where it appears that every last cupboard and drawer is neat, clean, categorized and labeled. The best thing is that it's not unrealistic. 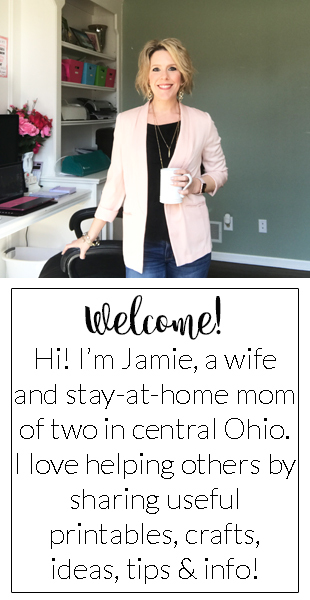 Unlike some of the organization and home decor bloggers who have no children (where it may be a weeeeeee bit easier to keep a house tidy), Jen does. I hope you too can get inspired by her projects and organization. And her photography is amazinggggggg!!!!! OrganizedJen - I first found Jen on YouTube. She is so sweet, you will love her the minute you start watching! She has outstanding videos showing her own home and how she organizes everything from her kitchen to her closet to her basement. And her little doggy is just precious...with different hair bows in almost every video!!!! Her blog is a more detailed version of her YouTube channel, with everything from beauty to planners to packing a suitcase. Please go check her out!!!!! Enjoy the rest of your day, my friends!! !